Graduates can expect to earn approximately $84,800 a year, plus benefits. They also have the added benefit of no student loan debt to pay back, as tuition for accepted candidates of the apprenticeship program is free. Skilled electrical expertise is in high-demand for commercial construction projects across the greater Washington, D.C. region. Matthew Bailey represented the Inside Wireman class as valedictorian, receiving a 99.03% academic average and perfect attendance over the 5-year program. Additional program valedictorians included Gilbert Bien-Aime with a 92.67% for telecommunications and Matthew Stoffa with a 95.33% in R&A Upgrade. 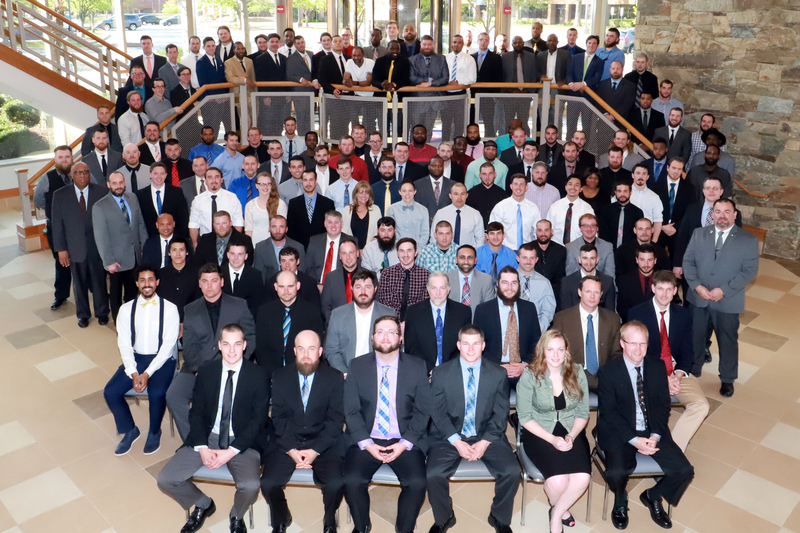 Of the 174 graduates, 139 graduated from the five-year Inside Wireman apprenticeship program, 29 from the four-year residential upgrade track and six from the three-year telecommunications program. “This is the 72nd graduating class for the apprenticeship program. These men and women have worked hard, both in the classroom and on the job site, to learn the skills required of them to be able to support technologically advanced buildings and structures. They are ready to join the workforce as journeyman electricians,“ said Chris Cash, Training Director, JATC.